Kellogg Community College will celebrate 60 years of educational excellence in Battle Creek with a Community Gala Celebration next month on campus. The gala event will be held from 6:30 to 9:30 p.m. Saturday, June 3, at the reflecting pools area at the main entrance to KCC’s campus at 450 North Ave., Battle Creek. Tickets are $60 each for the general public and $20 each for KCC alumni; tickets may be purchased at the event or in advance by calling 269-965-4161. KCC first began offering classes in Battle Creek on Sept. 17, 1956, as Battle Creek Community College, with classes running for a trial year at the Grand Army of the Republic Hall downtown. The first semester, just 94 students were enrolled in day classes and just 82 students were enrolled in night classes. 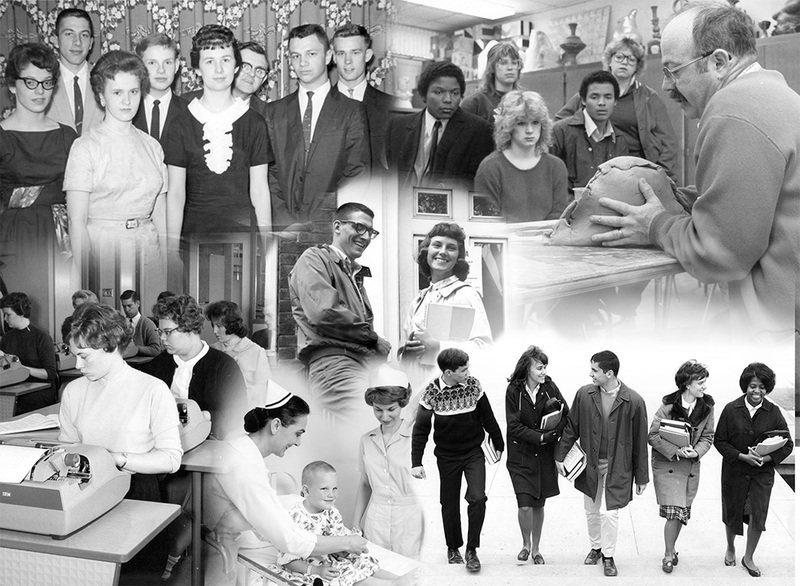 Sixty years later, KCC has grown to serve more than 10,500 students annually on two campuses in Battle Creek; regional center campuses in Albion, Coldwater and Hastings; and online. The gala celebrating KCC’s rich history will feature a strolling dinner; a bar offering beer, wine and other beverages; live music; historical displays; stories of KCC students past and present; and more. Additionally, Battle Creek’s own Territorial Brewing Company will debut a brand new beer – Bruin Brew – at the event, brewed specifically to celebrate KCC’s 60th anniversary. Parking for KCC’s Community Gala Event will be available in all campus lots; entry will be at the center steps and ramp located on the College’s Circle Drive at the main entrance to campus. All ticket sales from the gala will be directed to KCC’s Beyond Tuition Fund for student emergency needs, an oft-used fund to help students pay for items such as rent, utilities, uniforms, child care, gas cards and other transportation needs that can prevent students from attending class or completing their program of study. For more information, contact the KCC Foundation at 269-965-4161 or by email at kccfoundation@kellogg.edu.